Jimmy John's worker Cherene Slue came up short when she tried to rob this Loop Subway on Monday, cops say. Police say a woman wearing a Jimmy John’s sandwich shop uniform tried to rob a competing Subway restaurant in the Loop on Monday, but her plan was half-baked. 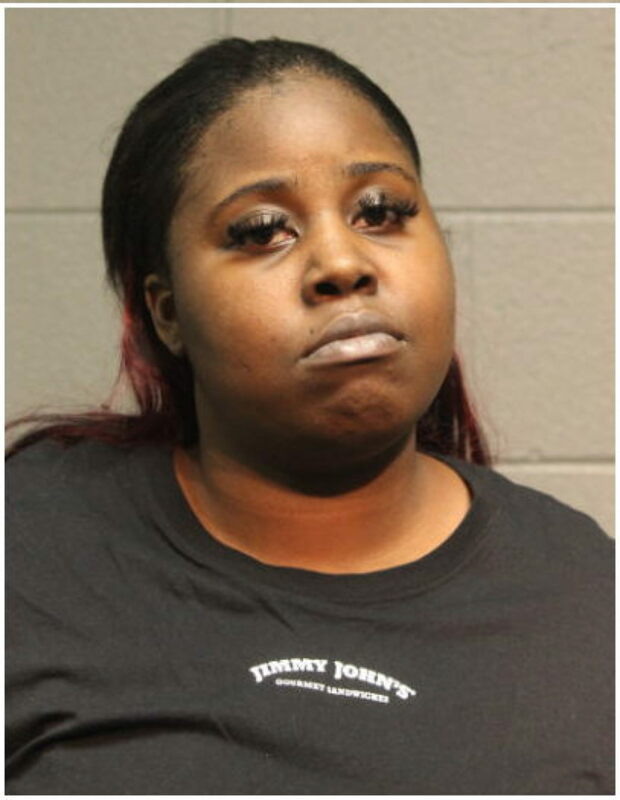 Decked out in a “gourmet sandwiches” t-shirt, Cherene Slue, 27, allegedly walked into the Subway at 604 South Wabash shortly after 8 p.m. and handed the clerk a note. “I have a gun and give me $60,” it said, according to the clerk. When the man said he had no money, Slue insisted that she had a gun. The clerk walked to the back of the store and Slue left empty-handed, police say. Original stories. Original Reporting. Made possible by our subscribers and supporters. Become one today for as little as $5 per month. Police found Slue standing on the sidewalk about two blocks south of the Subway ten minutes later. Detectives are trying to determine if Slue is responsible for two other robberies in which an offender used an identical note, according to a police department source. As of now, though, she is only accused in the Subway case. Slue, of the South Loop, is charged with attempted aggravated robbery-indicating presence of a firearm. Judge Stephanie Miller ordered her released on electronic monitoring with a $50,000 recognizance bond.